Air Italy’s recent announcement that it would double its destinations across the Atlantic from two to four, adding Los Angeles and San Francisco to New York and Miami on April 3 and April 10 next year, respectively, has created fresh consternation among U.S. airlines. Now flying a fleet of 15 aircraft, Air Italy plans to increase its complement to 50 by 2022. It won’t do so without resistance from American Airlines, Delta Air Lines, and United Airlines and several U.S. labor groups, however, who claim Air Italy has already undermined fifth freedom rights and exploited Open Skies policies by accepting subsidies from the government of Qatar. 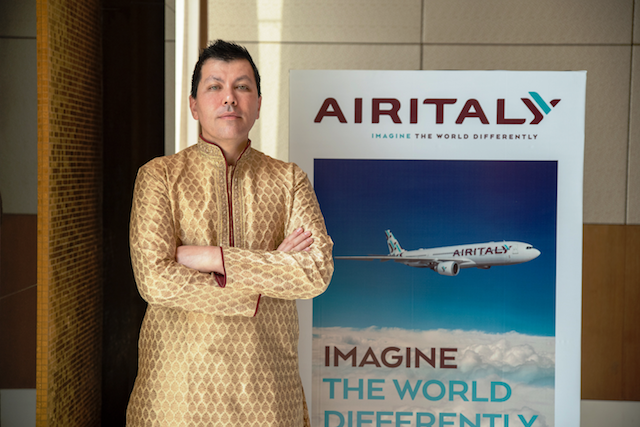 Of course, Air Italy CEP chief operating officer Rossen Dimitrov disagrees, calling the claims “a lot of nonsense” during ceremonies in Delhi to announced flights from the Indian capital and Mumbai to its Milan hub, and onwards to North America. “With customer relations falling apart and deteriorating, perhaps they should spend more time looking internally,” added Dimitrov. The COO scoffed when asked about a recent letter sent by a group of 11 U.S. senators to Secretary of Transportation Elaine Chao, Secretary of State Mike Pompeo, and Secretary of Commerce Wilbur Ross raising concerns that the Qatari government had violated its Open Skies agreement with the U.S. through its Air Italy investment. “Air Italy’s entry into this crowded market appears consistent with Qatar Airways pattern of adding subsidized capacity in markets where demand is already well served,” said the letter. Dimitrov characterized the allegations that Qatar Airways had used his airline as a proxy to violate Open Skies as simply false. “That option is closed,” he said. Meanwhile, the carrier plans to enter into a code-share deal with India’s Vistara for domestic routes. “We do our homework and try to see with whom we fit with best. We are very open-minded and not against working with anybody. We will be happy to work with American Airlines if they are willing to. They are our colleagues and we have respect for them,” said Dimitrov.